However, before we proceed, shall we see the definition of a Ponzi scheme? In this article, we have included two most popular definition for the term as you can see below. Credit goes to Wikipedia for the definition which incorporate all the words and terms to reveal the true meaning of Ponzi. This type of business started gaining grounds in Nigeria in 2014 but increased drastically in 2016 as millions of Nigerian youths and even the aged people joined one scheme or the other in order to make quick money. No thanks to the poor economic situation and non availability of jobs for the youth. One funny but interesting secret about this ponzi stuff is that most of them pays. In fact, many people have become millionaires through Ponzi schemes but why are some people not favored or scammed on it? The reason is because the real beneficiaries of any ponzi scheme are the pioneers (those that started it) once the scheme grows very big, the new members pays with their money unknowingly. So we have carefully listed some of the Ponzi schemes in Nigeria that are not working properly. These schemes have been reported by many people labelling them scam because they didn't get back the money the threw into the platform so we also label them as scam. So beware before you join any of them. Note that some of them were paying well initially but as some point, they stopped and peoples money were trapped up till now. Example is ultimate cycler which has gotten thousands of negative review from Nigerians since November last year. Although, MMM Nigeria and Twinkas are still confirmed paying, as at the time of this publication, you should also think twice before joining. Meanwhile, MMM West Africa is still among the few schemes that are working at the moment as people are PHing and GHing but who knows when it will crash like others. At least it's a new scheme and new participants are those enjoying it for now. Have you ever been scammed by any ponzi scheme? What's the name of the scheme let's know here and direct. or also chat me up on whatsapp. There has been mixed reviews on the platform. While some people are testifying it's working fine, some others are regretting why they joined. 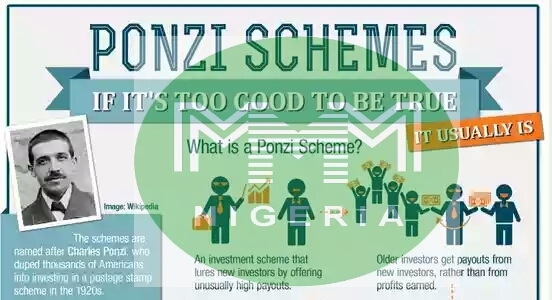 Mixed review I have perceived come from two type of schemes running here in naija but are all categorized as ponzi schemes. However, all are plagued with the tendency of collapsing due to individual financial differences, wants and needs. Gethelpworldwide is d only one that can withstand d test of time. You can register https://gethelpworldwide.com/?ref_id=308939-Mubarak_Muhd nd then pm on whatsapp for more info 08031323258. MYSURECASH IS THE BEST PLATFORM FOR 2017 .BECAUSE YOU EARN 50% PLUS YOUR CAPITAL IN JUST 28DAYS. Mysurecash gives,30$,60$,90$,120$, as first time registration bonus once you register and provide help base on the amount of money you wish to donate. You visit, https://www.mysurecash.com. to get registered, please use my email ID link, akpevweaustine@yahoo.com. as your Referrer email. You can still call or whatsapp me for more clarification on 08033678725. I know some if them might not heed to this. I got matched within 2-3days, inwhich you're meant to earn #50,000 but you'll be matched with 3people at once then the system automatically upgrades you to level 2 with the remaining #20,000. Naracle is nothing to write home about. @olurofemi stop deceiving people. Lier.com. I and my friend registered over 3wks now, they matched me with one person after one week, my friend have not been matched till this moment. #1,500 to register in Level 1. Hurry now, its still new and based on a first come first serve policy. Naracle is a nightmare, I join them over 2 weeks now, they matched me with just one person after a week, since then till now thing. Pls don't join forget about what all this lier.com are saying. Gethelpworldwide is so organized and it's going to last long because of their strict laws attached to it want to join My Referral ID : https://gethelpworldwide.com/?ref_id=159500-Ezekwueme_Joseph_Chimaobi or whatsapp me or call 09067306172 to give you more info about this wonderful program. Please admin add http://alwayspays.com (AlwaysPays) in the list of scam ponzi schemes. I did the N12,500 level 1 subscription, quickly matched to someone, paid him the 12,500. I opted to go to level 2 and got matched to someone, payed him N33,600. I never got any rewards. So I N46,100 this morning I checked their site and all I saw was SITE CLOSED DOWN/SUSPENDED. My money all gone with the wind! Invest on pairfund.com and get 200% of your money back within 2 days. Givers corner. Com is a scam. The information on their site said it is a 24 hours get help platform. So I and my sister registered since 1st week of February, and up till now we are yet to be merged even after we paid our money almost immediately after registering. Pls you can investigate and research about givers corner. I'm sure that there are other victims. Most of you are secretly paying the admin of other ponzi scheme without knowing. Why not get your own site and run it the way you like? Be financially free, join the people of freedom, log on to www.gethelpers247.com and start making cool cash, its for real. If ponzi was that bad I would be happy I still did one, ceazee.com was launch 15 may 9am and still rocking. CRADLEFUNDS.COM HAS BEEN LAUNCHED TODAY..
7. Support Email and addon domains. Also, I'll help run adverts for the site after creating plus i can assure they'll be no glitches and also if you need a School, Church, Company website or an e-commerce website like Jumia and Konga or you need a personal blog or website, you can chat me up here on WhatsApp or better still call me on 09067874359.